MEN of League are holding a lunch on 16 February at Fingal Bay Sports Club where you can meet some of the codes great past players. Members of the wider community are invited to attend the Men Of League event which will raise funds to support members of the Rugby League family that have fallen on hard times. Bruce Walker, State Manager of the Foundation told News Of The Area, “We are all about helping members of the rugby league family, and that includes referees, players and volunteers. He believes it is important for the local community to know that the Men Of League Events are open and everyone is welcome. Bruce played for North Sydney and Manly and reminisced about some of the toughest players he has faced, including John Falter, John O’Neill and Rod Reddy. “You don’t have to be an old retired footballer, you don’t even have to be an old player to come along, it’s just about a community that gets together and helps,” he said. 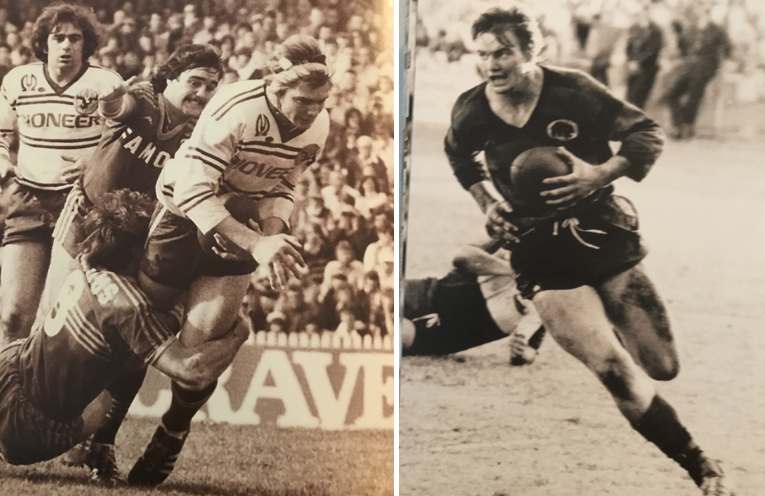 Bruce will be at the Fingal Bay event in February along with Peter Johnson who represented NSW schoolboys under David Waite before playing for Wests Newcastle. In his second year Peter was selected to play for NSW Country. He was then signed for Canterbury where he played for three years under Warren Ryan. Canterbury then loaned Peter to the English League where he played in the Wembley Cup final but unfortunately his team lost. After this he moved to the Roosters & was coached by Arthur Beetson. In 1989 to Newcastle to play for the Knights until 1991. Peter then left the Knights to play in France again his team made the Grand Final which unfortunately they lost. On his return to Australia & played for Wyong under Rip Taylor and with Michael Hagan. Peter then returned home to Coach Kempsey where his team made the Grand Final. Peter returned to the Knights as an Assistant Coach to Rip Taylor with the under 20’s that included Kade Snowden & Aquila Uate where his team made the Grand Final. Meet Bruce Walker and Peter Johnson in the Bay on 16 February.